In-vehicle hardware platforms need rugged design. Such platforms need the be ready for any bump on the road. When in-vehicle systems are being designed for fleet management applications, ruggedness is not the only consideration. Fleet management systems also have to handle a variety of programs that cater to both passengers and visitors. This extra load generally means that the in-vehicle system must be able to deliver high quality multimedia to multiple displays simultaneously across a wireless network. 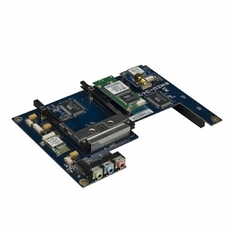 The EMIO-3110 (an Em-IO expansion module designed for extending multimedia capabilties) and the EMIO-3430 (an Em-IO expansion module designed for supporting wireless networks) are particularly useful for in-vehicle systems. The combination of the VIA EITX-3000, EMIO-3110, and EMIO-3430 enables an in-vehicle system to display, maintain, and control multimedia content across a wireless network using WiFi or Bluetooth. The EMIO-3430 also supports GPS, which makes it ideal for implementing a real-time tracking system for a fleet of vehicles.